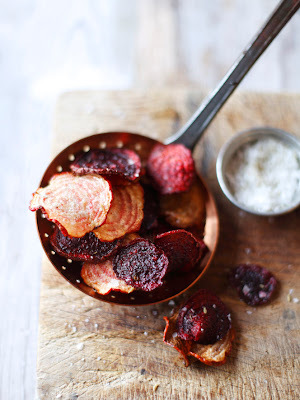 I’m a great fan of beetroot, but sometimes tire of the way it compels full-on culinary and visual commitment. Many of the other vegetables in the garden are happy to play part of an ensemble performance - Bulb Fennel turns in a fine Gloucester on a good day. Beetroot refuses to play any role but Lear, then goes all method in your kitchen, like Christian Bale. “Chide not fool; this is what I do!” it bellows; scarlet juices pluming through your meal. Simply does it here; thinly slice Pablo and Barbabietola Di Chioggia beets, deep-fry in Groundnut oil and serve with a scattering of ground fennel seeds and sea salt. Tasty stuff - not a tantrum in sight. Beautiful indeed and a great shot. Do you cook the beetroot slices before frying? I didn't, even though the slices were relatively thick. Nice and crunchy; make sure to keep them moving in the oil though, otherwise they burn. Thanks for for the kind words guys! Great idea to add the fennel - lovely pic too. 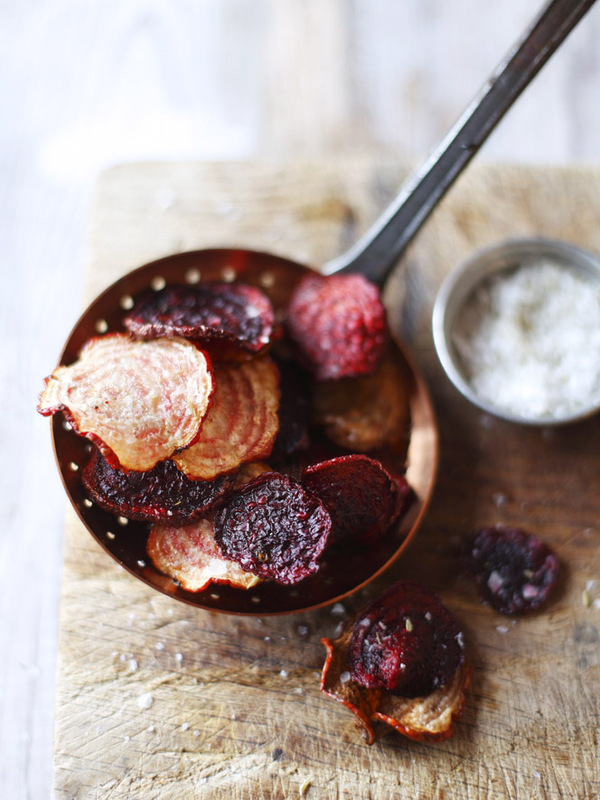 Gorgeous photography of food, I love beets and want to try this! I have no idea where to find Groundnut oil....is there an alternative I could use? I can't wait to try these but I wonder, recently made microwave potatoe chips and wonder if you think that method would work for these? i think you are both photographer and cook. very rare combination. till now i knew about only potato chips!! great recipe idea!! !